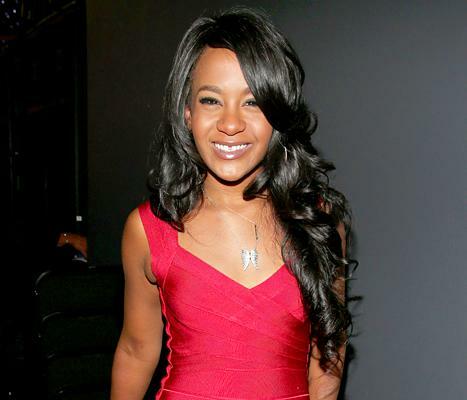 Whatever problems Bobbi Kristina Brown had before, all that matters now is getting her the best care possible. Amid reports that there was an active warrant for Brown's arrest when she was found unresponsive in her tub on Jan. 31, Executive Public Information Officer George Gordon tells Us Weekly that the warrant has been recalled, and that the department's main concern is Brown's family. "I confirm the Alpharetta Department of Public Safety had an active arrest warrant for [Ms.] Bobbi Kristina Brown. The warrant was issued because [Ms. Brown] failed to show up for a mandatory court appearance after being cited for operating a motor vehicle with expired tag registration," Gordon explained in a statement. Given the circumstances and Brown's ongoing hospitalization, however, the department requested that the warrant be thrown out. "In light of recent events involving [Ms.] Brown, we are not focused on the warrant issue. In fact, we asked the court to dismiss the warrant and recall it -- which they did," Gordon said. "The important issue is we hope the grieving family and friends find comfort during this difficult period." Brown -- the 21-year-old daughter of Bobby Brown and the late Whitney Houston -- has been in a medically induced coma for several days now. Family members, including her father, Bobby, and her grandmother Cissy Houston, have been keeping vigil at Emory University Hospital in Atlanta, Ga., where she was transferred earlier this week. On Thursday, Feb. 5, her cousin Jerod Brown updated concerned well-wishers on her condition, writing on Facebook, "Though it seems the odds are against her, though doctors don't see any hope for change, though we might want to play detective and find out how she got there, though it looks impossible for her to stand again STILL PRAY FOR BK."